EP4:10/19 "I Wonder If They Like Blondes in New Zealand?" Topic: EP4:10/19 "I Wonder If They Like Blondes in New Zealand?" Re: EP4:10/19 "I Wonder If They Like Blondes in New Zealand?" Michael, please recall that their plane lands at 355am May 2 at Auckland international Airport. Where else could they go? They almost certainly get right into their tasks. route 20B from the airport to link with route 20 north, which intersects with Route 1 north. Route 1 goes near the center of Auckland, over a bridge to the North Shore, and continues. At Silverdale, turn right on the Whangaparoa road. Gulf Harbour is about halfway out that peninsula. reverse the route, taking the Whangaparoa road back to route 1 south. Follow Route 1 back over that bridge and to the south side of Auckland, then continuing on route 2 or route 2, 27, 24 and 29 to Tauranga. There is a ferry from Auckland to Gulf Harbour, but it is not likely to have played a role in AR13 because teams drive marked cars. I was thinking that they find their first clue box at the Gulf Harbor and again, we encounter some sort of hours of operation. Phil tells us pretty much that the Maori are at One Tree Hill right? Yes and either route 20 or route 1 goes adjacent to One Tree Hill on the south side of central Aukland and the other isn't far from it. so the first clue at gulf habour holds the FF clue. Here patlini, if this helps, dug up from the spoilers thread ..
Oh, daylight saving! So he probably didn't adjust his camera clock - it's showing the same time in Russia's DST, all over the world. Following this, Phil was at Tonle Sap on 4 May at 7.19am, and Mom/Son at 9.26am. Works into the grand scheme of things! Teams arrive in Auckland morning of the 2nd and have a leg there. While they are having their Pit Stop, Phil sneaks onto a flight on the morning of the 3rd (thanks Apskip). As our racers get released, they take afternoon flights towards Cambodia, and get snagged on Hours of Operation that evening. The Cambodia leg then starts proper on the morning of the 4th - dragging on to give us the 11.30ish sightings at Angkor Wat! Teams leave on the morning of the 6th, so something must have held up the teams. An extended Pit Stop (as mentioned earlier)? Highly possible. The Maori guy's pictures are around 17:00 on 04/30 and may be able to be confirmed from the watch picture below? But this makes the photos of the Fast Forward and the blonde girl between 04:50am and 6am, which given the sky walk is usually open between 10am to 4.30pm, and it is winter time too, seems a bit unusual. I would have thought doing it in the dark wouldn't be as scarey cos you couldn't see the ground. Neobie, I think you have it correct. LAN801 landed around 0355 on May 2 at Auckland International Airport. A Fast Forward dash would have ensued, with arrival in the 5am time frame by whichever teams went fof it. We know that at least one team did and that any others teams did nto stay at the Sky Tower. I am having trouble with that Gulf Harbor being so far North? They have to be on top of whichever extinct Volcano it is (needs to be one with Maori connections as well, that's why I like One Tree Hill but it could be any of them I guess) by DAWN and I don't think they can make it if they drive way up there first, which is what I think Michael is trying to say as well. New Zealanders are very proud of their indigenous Maori culture, and we were looking to get something of that in the show. We ended up having the teams search for Maori warriors on an extinct volcano (near Auckland), and it was the most magical morning when they arrived: As the sun was rising, there were these warriors doing the haka (a traditional war dance) with a magnificent rainbow over the top of the hill. There just is no way they can arr 0355, get thru customs, drive north to Gulf Harbor (which seens to be a golf place and their website is down or they are out of business), turn around and drive back to One Tree Hill (or Mt Eden or whichever) , do a 20-30 minute climb to the summit, and be there by dawn. So I think either we have the wrong Gulf Harbor or the wrong Volcano--maybe there is a Volcano up there? "I am not totally sure where they traveled, but it was out of Auckland south into the North Island (this would fit with Tauranga or Rotorua, or both)." 3. There may or may not be a task in Gulf Harbor, but teams definitely get a clue there. 4. Whoever reaches the Fast Forward first goes and does that. Is it possible that that task is the SKy Tower jump? 6. Teams leave One Tree Hill probably 30 minutes later to get to Papamao on the Bay of Plenty. This should take about 2.5 hours to reach the Blokart track DETOUR (it can't be a Roadblock because both Starr and Nick were doing it). What is the other DETOUR task? Can it be the kiwi stomping at kiwi360 in Te Puke? Adding up the best possible times for Blokart track detour, I add on 3 hours + track time + time to Te Puke. I get as early as about 1130am. With the drive time to TePuke about 15 minutes longer, that is balanced out by the Blockart teams having to drive an extra 15 minutes to reach the pitstop. The earliest possible completion time from the Kiwi360 DETOUR choice should be about the same 1130am. We know that there is a wide variation of actual times to reach Auckland Airport, so the ideal times only apply to some teams. With a 24 hour pitstop and a 2.5 hour drive back to that airport, that puts teams into the afternoon of Sunday May 3 for departures to Cambodia. From the park visitors can see Mauao (Mount Maunganui) and the Tauranga harbour in the west through to Putauaki (Mount Edgecumbe) and Moutohora (Whale Island) in the east. Papamoa hill is the highest point on the ridge (224m above sea level). The Park can be seen from the coastline and from a wide area of the surrounding plains. The Bay of Plenty’s first regional park, the Papamoa Hills Regional Park or Te Rae o Papamoa, opened to the public in July 2004. The focus of the Park is the rich Maori cultural history. It has a large number of archaeological sites and has many historical and ancestral associations. There is one walking track from the car park to the summit. It takes 45 mins to reach the summit and the track rises steeply through pine forest up to the open ridge. Visitors may use any of the Park land. Sunscreen and a sun hat for sunny days and good walking shoes are recommended. From Tauranga, travel east on State Highway 2 towards Whakatane. About 1 km past the Papamoa/Bell Road turn-off on the left, turn right into Poplar Lane. The carpark access is on the right, before you reach the quarry gate. From Rotorua, travel towards Te Puke via Tokerau. The park is 5 km after Te Puke on the left. Turn left from SH2 into Poplar Lane. From Whakatane, follow State Highway 2 towards Tauranga. The park is 5km after Te Puke on the left. If you read the above analysis it indicates that teams should reach "the volcano" around 7am. On May 2, 2008 sunrise in Auckland was at 701am which is pretty consistent with what you indicate is needed. And team arrival there might be up to 30 minutes faster if the rush hour traffic from the North Shore into Auckland is better than I expected because it was Saturday and there should be no rush hour. I will ask the expert, someone who lives on the North Shore and works at Auckland International Airport, and let you know. Something is wrong somewhere, isn't it? Gulf harbor sticks out on that map as being the odd man out. Yet we hear it said by one of the teams in the car in the dark. I stand by my analysis. 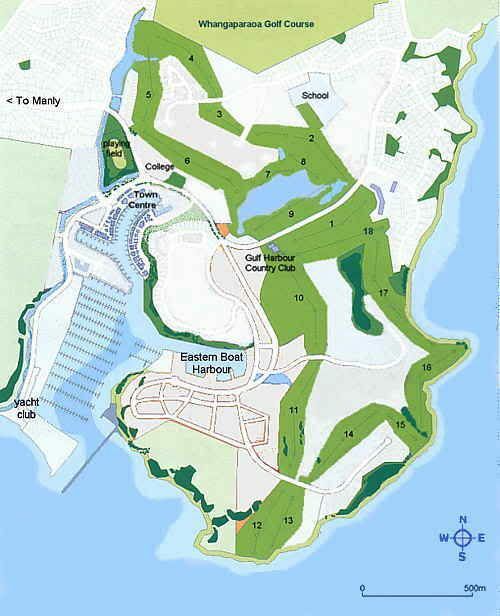 It is less than 50km from Auckland International Airport to Gulf Harbour. It should take slightly less than one hour each way early on a Saturday morning for the leading teams to get to Gulf Harbour and to return from Gulf Harbour to One Tree Hill. Lagging teams will take more time. I am assuming no time at Gulf Harbour other than trivial to locate the cluebox. I would say it's a good bet for the leading teams to make it to One Tree Hill by around 630am. What part of this analysis don't you agree with? I am not totally sure where they traveled, but it was out of Auckland south into the North Island (this would fit with Tauranga or Rotorua, or both)." Phil's diary is up and you can see a little bit of the pitstop. Thanks for the video. It's edited to to present this farm/grazing area as looking in the opposite direction from the pit stop. haha his dad is great! !